The prices for the premium hatchback and the mid-size sedan will remain the same, and offer aesthetic upgrades to the respective trims that they are offered in. 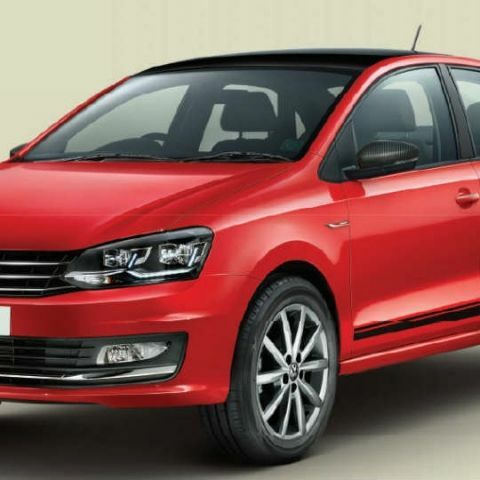 Volkswagen has introduced limited edition trims of the Polo hatchback and the Vento sedan in India. These trims offer aesthetic upgrades to what is already on offer, and are not priced at a premium over the existing variants. Of the two cars, the Volkswagen Polo Pace comes with a very subtle change, while the Vento Sport offers a more significant design upgrade in its limited edition avatar. To begin with, the Volkswagen Vento Sport now comes in a new exterior colour - flash red. Alongside, the list of aesthetic changes over the existing variants include glossy black spoiler lips, glossy black roof finish, black carbon fibre outside rear view mirrors, black side skirt foils, a 'Sport' badge in chrome, and 16-inch Portago alloy wheels. The Polo Pace, meanwhile, only comes with new 15-inch 'Razor' diamond cut alloys. The Vento Sport trim is being made available across the Highline and Highline+ variants, while the Polo Pace with the limited edition alloy wheels will be available only in the petrol Comfortline variant. Both the Polo Pace and the Vento Sport trims are available without any extra cost for the respective variants, and will be available for a limited period only. However, Volkswagen has not specified for how long these trims would be available across Volkswagen dealerships in India. How to solve wifi limited problem in windows system?